17880 SE 106th Court, Summerfield, FL.| MLS# 550028 | Spruce Creek Realty...Retirement Communities in Florida, Resale Homes In Spruce Creek South, The Villages, Stonecrest, Del Webb. 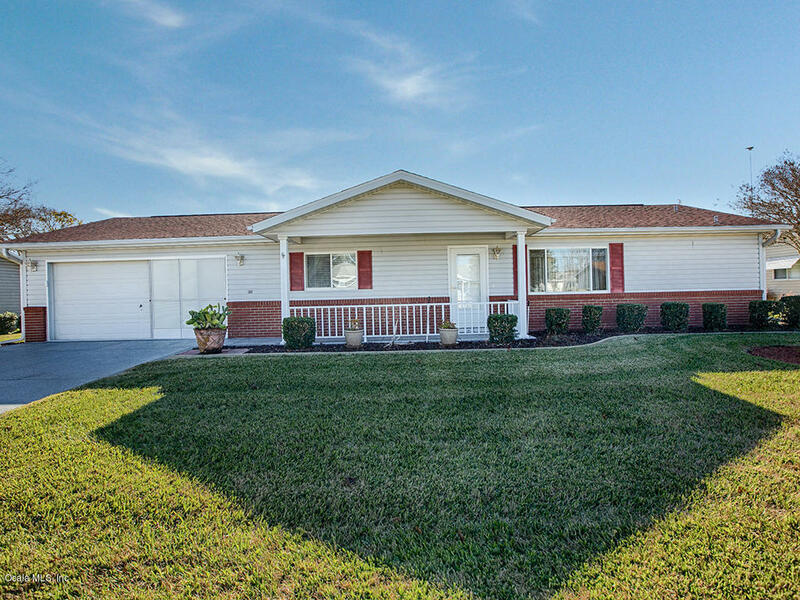 Spruce creek South 55+ community, Summerfield, FL Move in condition. FIR model, 2 bedroom with 2 bathrooms, 1144 square feet, vaulted ceiling. Updated kitchen counters, backsplash with granite and large pull out draws and solar tube in kitchen, under sink everpure water filter. Bathrooms updated with granite counter tops, high toilets, extra storage area in master bathroom. Enclosed lanai with sliding acrylic windows and open Patio. Water heater replaced 2017, garage door opener replace 2017, door knob replace with handles and light switches replace with toggle switches. This home is a very clean home. Outdoor carpet only in lanais... NO PETS have lived in this home... Very Clean; garage extended 4 feet, pull down stairs in garage and cabinets for extra storage.